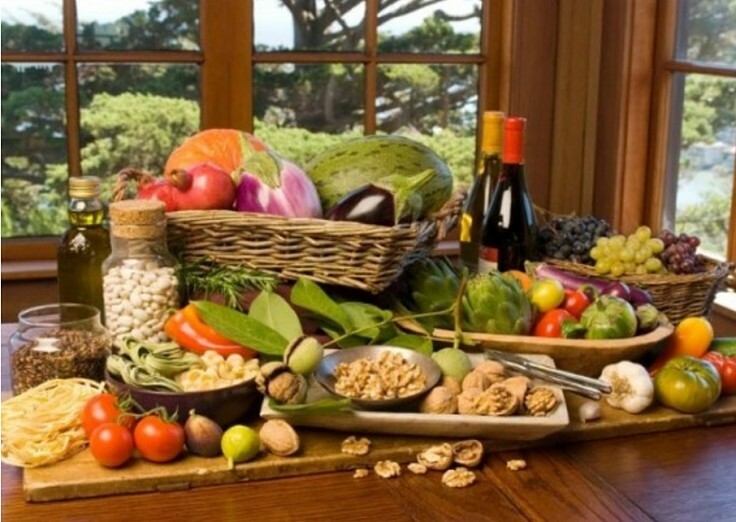 Recent research has shown that the traditional Mediterranean diet reduces the risk of death from heart disease and cancer, reduces incidence of Alzheimer's and Parkinson's diseases as well. 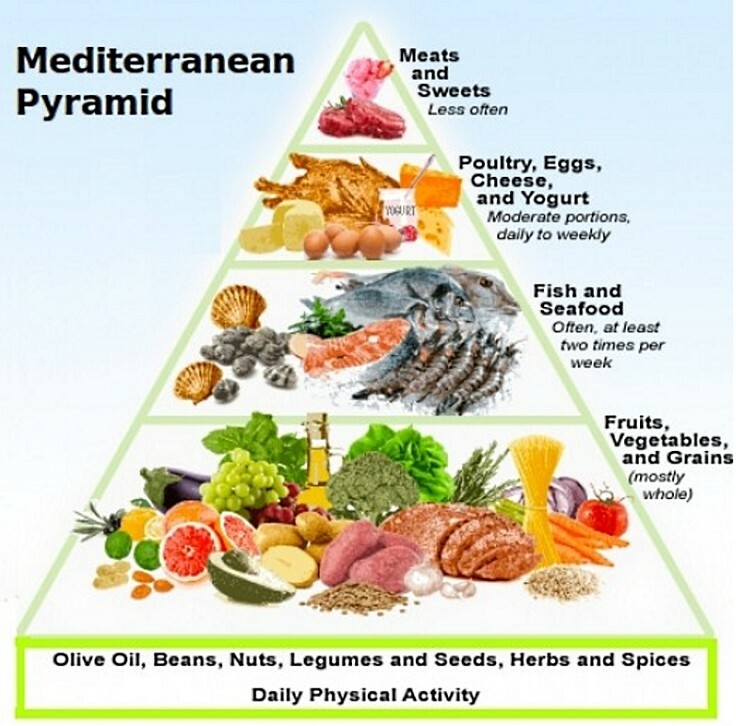 The Mediterranean diet has an intense anti-inflammatory effect. The diet appears to be effective via improved lipid profile and reductions in insulin resistance or blood pressure, or both. Benefits of adopting the Mediterranean Diet appear relatively quickly (at 3 months) for lowering blood pressure and changes in the lipid profile in the blood. Modifications in the inflammatory response, tested using bio-markers, appear about 12 months after people adopt the Mediterranean Diet. Health authorities around the world have proclaimed this diet as a healthy weight control diet, that also reduces the risk of disease and improves lifestyle and future health prospects in the longer term. ► Eating more fresh fruit and vegetables, averaging six or more servings a day, and eat some fruit and vegetables at every meal. ► Not reducing fat intake, but replacing butter and margarine with olive oil and consuming more healthy fat from seafood and nuts. 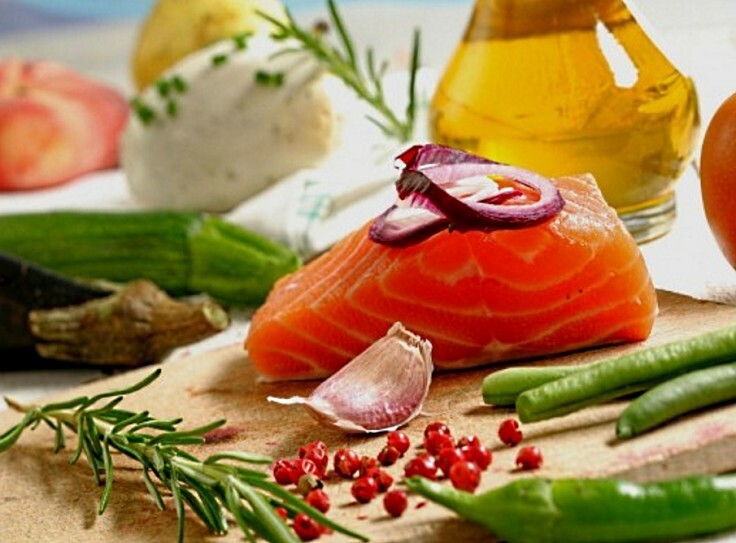 The Mediterranean diet is low in hydrogenated oils (trans fats) and saturated, both of which contribute to heart disease and other health problems. ► Reducing consumption of red meat once or twice a week. The recent findings that processed meats such as ham and salami contain carcinogens and are a cancer risk. The meat eaten should be fresh, rather than processed. ► Eating whole grain breads, pasta and other carbohydrates. Use olive oil based spreads rather than butter or margarine, or dip bread in olive oil. ► Eating more fish and seafood - at least twice a week. 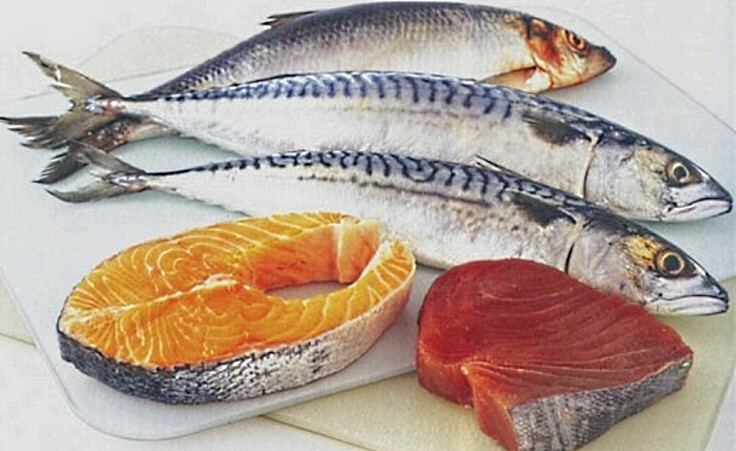 Oily fish, such as mackerel, trout, herring, sardines, tuna and salmon — are rich sources of omega-3 fatty acids. ► Eating more nuts, are rich in fat, but most of the fat is healthy types. ► Being more active and enjoying meals with family and friends. 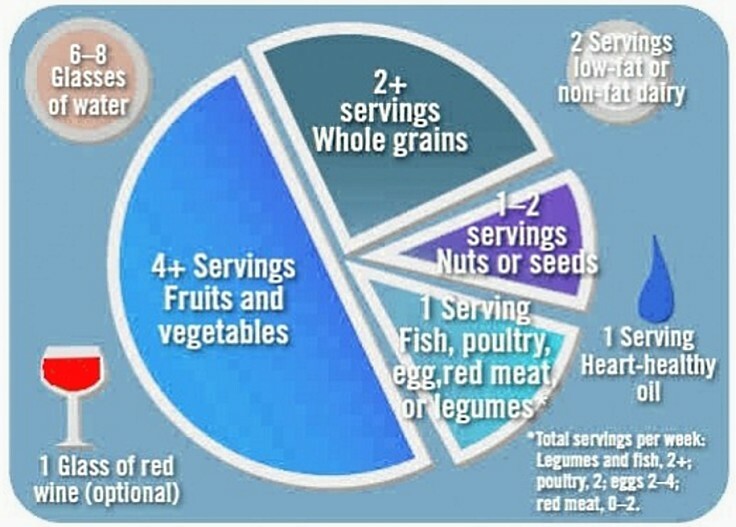 The Mediterranean Food Pyramid and Plate (see image) provide guidance on the relative proportions of the various food groups. Whole grains share the base with vegetables and fruit, rather than being in a separate layer, which is shown in some Mediterranean diet pyramid versions. Nuts, herbs and spices are shown as a supplementary layer to provide flavor to dishes and reduce the amount of added salt. ► Eat lots of fresh vegetables and fruit by including both of them in every meal. 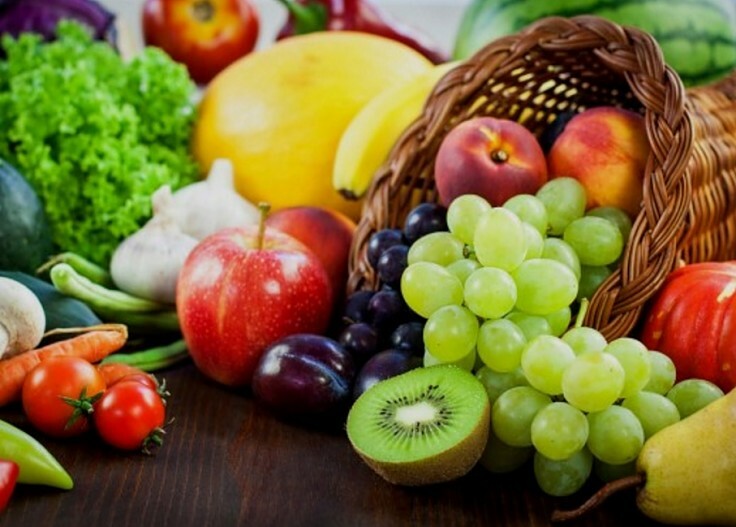 Eat fruit and vegetables snacks instead of processed carbohydrates such as cookies and cakes. ► Eat more nuts and seeds, which are good sources of fiber, healthy fats and vegetable protein. Eat dried fruit with almonds, macadamia nuts, cashews, pistachios, pumpkin seeds and walnuts as snacks. Try using blended sesame seeds (tahini) for making dips, spreads or sauces. ► Eat more pulses such as chick peas and lentils in dishes such as dahl. 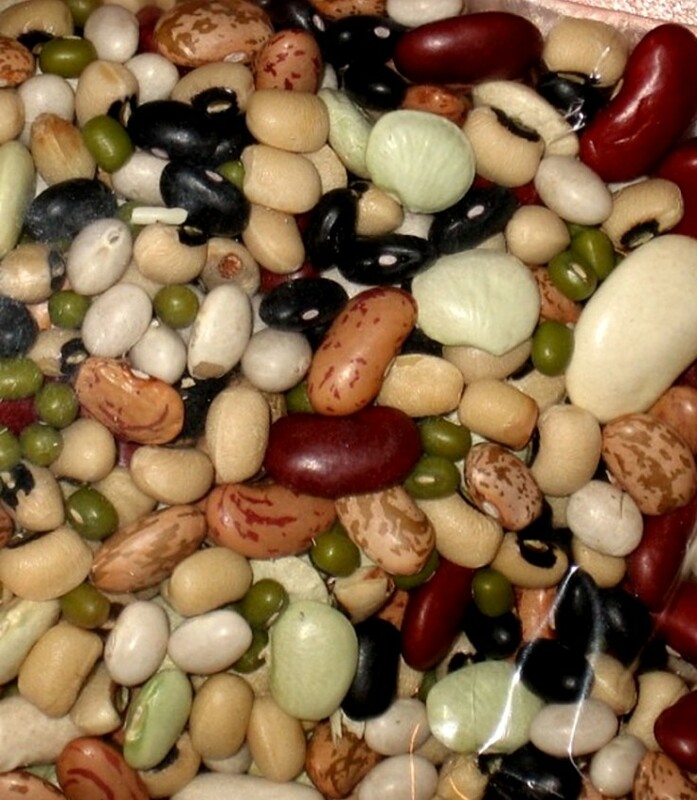 Peas, beans and pulses are rich in fiber and protein. The fats they contain are the healthy types. ► Use olive or canola oil as a healthy replacement for butter or margarine. Lightly drizzle olive oil over vegetables to add more flavor and richness. ► Use fresh herbs and spices to boost the taste of food and reduce the need for salt and fat in recipes. ► Choose low-fat dairy such as skim milk, fat-free yogurt and milk and low-fat cheeses. ► Eat more fish or shrimp, or other seafood at least 2-4 times a week. Grill, bake or broil local fresh fish fish, while avoiding breaded and fried fish.Fish and seafood are easy to prepare. ► Limit red meat to once or twice a week, replacing it with fish and poultry. Eliminate all processed meats such as sausage, bacon, ham, salami. These processed meats have high fat contents and contain cancer causing agents. Fresh oily fish and seafood are used to replace red meat in the Mediterranean Diet. Processed meats should be avoided. Choose poultry instead. 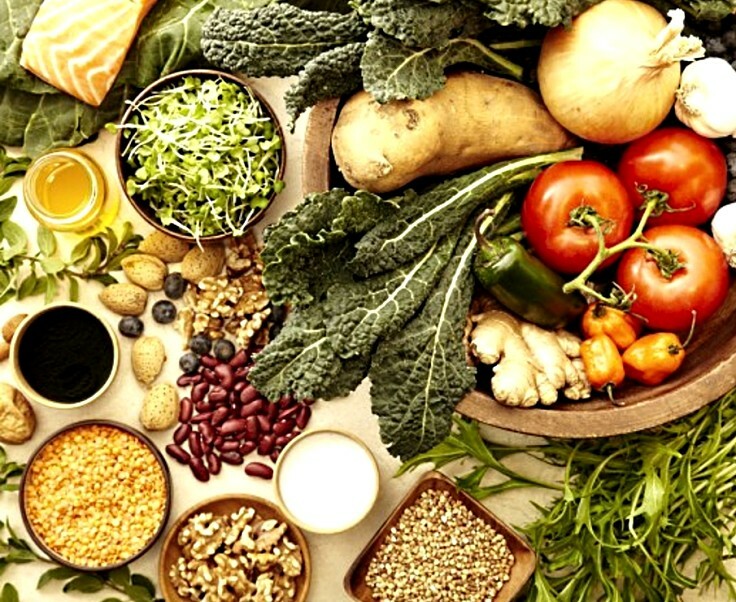 The Mediterranean diet is advocated around the world for healthy hearts, a powerful immune system and a strong anti-inflammatory effect on the body in 3-12 months.